Set near the Nani Aral Village are the Dhinodhar hills, known for their religious and spiritual significance. 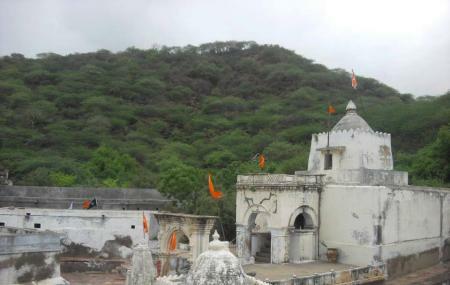 The hill is home to Dhoramnath Shrine, dedicated to Dharmanath or ‘the patience bearer’. According to a local legend, the penance of Dhoramnath resulted into the existence of Rann of Kutch. The shrine was constructed by Brahma-Kshatriya Shethh Sundarji Shivji in the year 1821. Devotees flock to the shrine, especially on the occasion of Janmashtami and Navratri. Climb up the hill, visit the holy shrine and enjoy stunning views of the Great Rann. You can visit the hill anytime of the day. Amazing place to be at if you want a peaceful hill station. Not much of attraction for tourists looking for some monuments or heritage remains. But a must go for someone looking for solitude among the greenery.